The Commission on the Status of Women will hold it’s 60th annual session (CSW60) in New York City on March 14-24, 2016. Composed of 45 member countries, the Commission is the global policy-making body for promoting gender equality and the empowerment of women. The Center, along with partners, submitted a joint written statement urging the Commission to address the epidemic of violence against indigenous women in the United States, especially Alaska Native women in rural villages who have reported rates of domestic violence up to 10 times higher than in the rest of the United States and physical assault rates up to 12 times higher. The statement also asked the Commission to implement the decision in the World Conference Outcome Document to consider the empowerment of indigenous women at a future session. Our partners include the Native American Rights Fund, the National Congress of American Indians (NCAI), with the support of the Alaska Native Women's Resource Center, Alliance of Tribal Coalitions to End Violence, Anvik Village Council, Clan Star, Inc., National Indigenous Women's Resource Center (NIWRC), Native Women’s Coalition, Sacred Hoop Coalition, Southwest Indigenous Women’s Coalition, Strong Hearted Native Women’s Coalition, and Women Spirit Coalition. The Alaska Native Women’s Resource Center, the Center, NCAI, NIWRC, and Native Women’s Association of Canada will cosponsor a parallel event during CSW60, titled Indigenous Women’s Movements to End Violence Against American Indian, Alaska Native, and Aboriginal Women, featuring speakers from the lower 48 states, Alaska, and Canada. The event will examine best practices and strategies indigenous women in the United States and Canada have employed to organize and advocate for social changes and legal reforms to restore safety in their Native nations and communities. Speakers also will share strategies for urging states to intensify efforts to end violence against indigenous women and to advance the rights of indigenous peoples and women affirmed in the UN Declaration. The parallel event is scheduled for March 22 at 4:30 p.m. at the UN Church Center Chapel across the street from the UN Headquarters in New York City. Registration to attend the parallel event is free and details can be found at http://www.ngocsw.org/ngo-csw-forum. 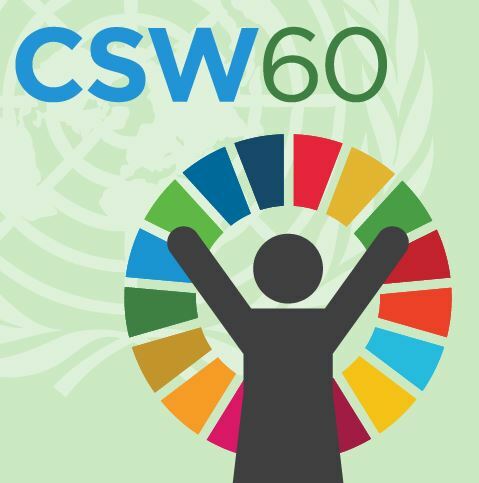 More information about CSW60 is at: http://www.unwomen.org/en/csw/csw60-2016.